Keys have been around for 6000 years, presumably followed by some way to keep them organized. A key ring works well enough, but if you’d like something more quiet or streamlined, check out these newer tools. The recent crop of key organizers and multitools favored by the “everyday carry” subculture tend to focus on a specific goals. These include silencing jingling key rings, keeping a handful of keys in as compact a package as possible, or efficiently combining a set of keys with other tools like a knife, bottle opener, or USB flash drive. We’ve selected the best keychain alternatives, no matter your needs. 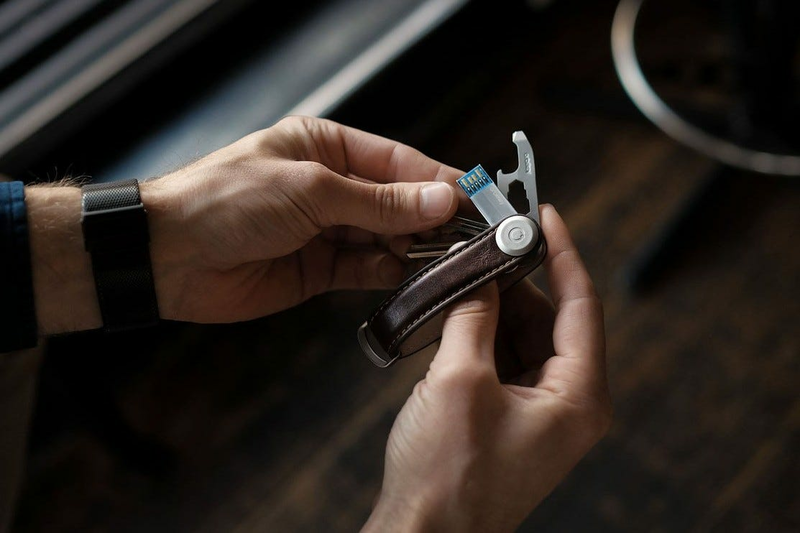 This compact tool requires users to send in photos of their keys, which are used to cut new “blades” to fit into a slick sliding mechanism. 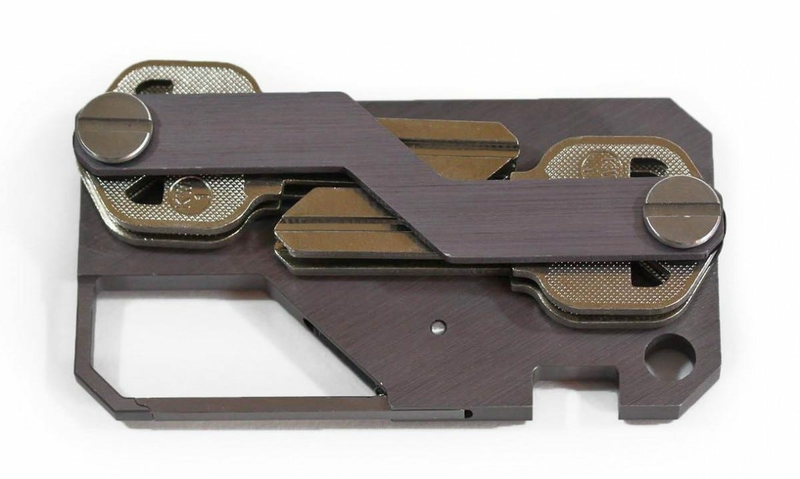 Once all the pieces are ready, you get all your keys in one tool about the size of a pack of gum, which can deploy individual keys on locking sliders at will. 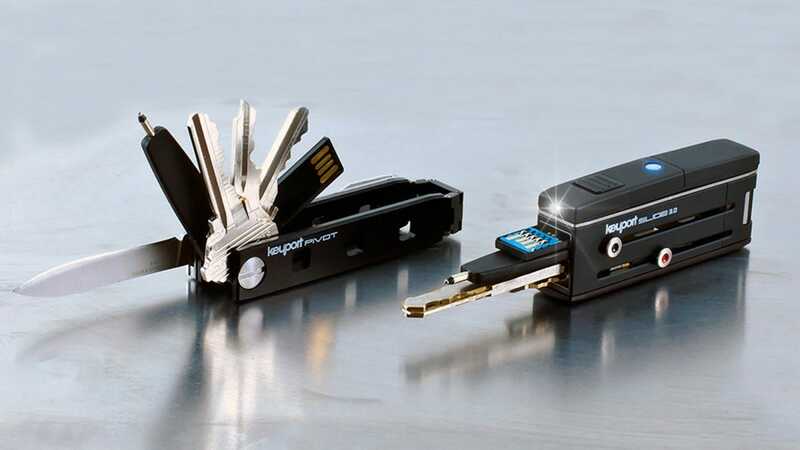 The Keyport Slide is also surprisingly flexible: different models can be loaded with a flashlight, USB flash drives, a fold-out pocket knife (handily removable for air travel), or even a ballpoint pen. The original design comes in six-key and four-key flavors, but if for some reason you can’t allow your current keys to be modified, there’s also a fold-out version that’s more like a Swiss Army knife. It’s compatible with un-cut keys and with even more add-on tools like a Bluetooth locator beacon. The Orbitkey isn’t much more than a simple leather loop with a tightened nut on the end of it. But it’s an elegant, stylish way to carry a handful of tools: that slick-looking leather will fit in with business attire much better than the nylon lanyard you’ve been using since high school. It comes in multiple colors and finishes—even for the metal parts—so you can accessorize properly. 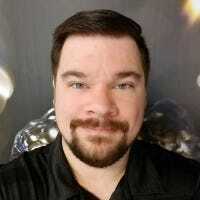 And speaking of accessories, there’s also a surprising amount of expandability in the design, as the manufacturer offers add-on modules including USB flash drives and bottle openers. The Orbitkey is expensive for something so simple, but it should last a long time and be worth it for those who need to look professional while wrangling their keys. If you regularly carry your pocket knife but only have one or two keys on your keychain, this tool is an ideal combination of form and function. The QuietKey Shorty is a knife first and foremost, with a quality steel drop-point blade in a squared-off titanium body that features a thumb stud and a pocket clip. Opposite the folding knife chamber is a user-accessible sliding pocket that holds three to five keys on a tightened stud. The Shorty’s mix of elegant minimalism and utility is hard to beat. The knife blade can be replaced with a combination blade-bottle opener or a bladeless multitool, and there’s a small extra key ring for adding anything that won’t fit in the main chamber. Be aware that these are made to order, and may be out of stock often on Quiet Carry’s online store. The above designs are elegant, but most of them omit a mechanism for easily carrying oversized and irregularly-shaped keys, like the electronic keys that come with most new cars. The KeyDisk KeyKlip is a more accommodating design that includes the tightened-down, fold-out bolts for standard keys as well as a carabiner clip and a dedicated attachment for a conventional key ring. The main compartment holds four keys with extenders available for more, and the squared-off styling is eye-catching if not exactly trendy. Amazon has them for just $20, which is considerably less than the $35 price on KeyDisk’s homepage. 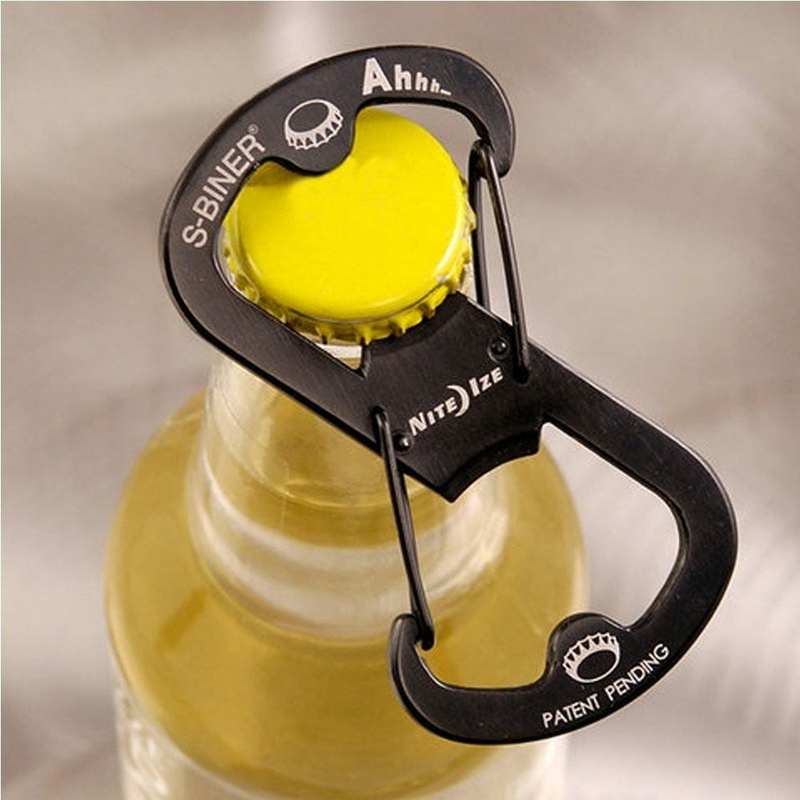 This simple modification of the carabiner design adds two elements: a double-loop with one for dedicated key storage and one for clipping on to stuff, and an integrated bottle opener. It’s a subtle little change, but making two clips in one will keep you from ever accidentally letting your key ring drop out when you’re attaching it to clothing or bags, and it’s easy to add or remove items. The steel and springs are surprisingly hearty—I’ve been using one of these every day for ten years with no sign of stopping—and the extra grip makes it a much better bottle opener than the smaller ones you’ll find in multi-tools. All that for the price of a latte is a hard deal to beat. Grab a handful of them and use them for stocking stuffers—your recipients will definitely be able to use them somewhere.